Beach Party, Clinked Glasses Beer Bottles. Slow-Motion Shooting. 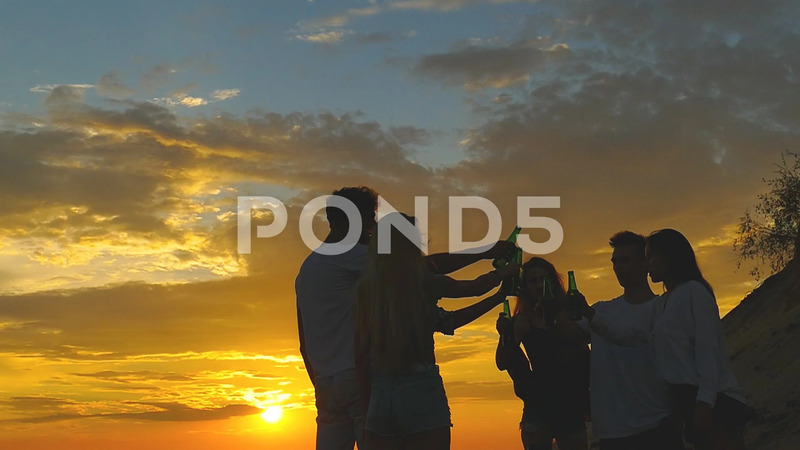 Description: Friends clinking beer bottles on the beach during the sunset. Slow motion.